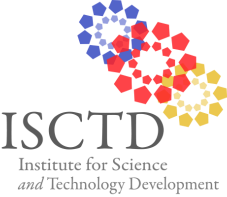 Institute for Science and Technology Development (also known as ISCTD, in this policy), a nonprofit organization committed to the effective utilization of the global intellectual resource in science and technology, takes privacy issues very seriously. These privacy statements discloses the ways we collect, use and protect personally identifiable information as well as your options for accessing and correcting that information. We are committed to protecting the privacy and security of the users of this website. This policy applies to your use of this entire site, which is owned or operated by ISCTD. Unless we say otherwise, all references to this site in this policy include this site. This policy does not apply to your use of other sites to which this site may link. This policy covers only information collected on this site and does not cover any information collected offline by us. We may request personally identifiable information from you (such as your name, street address, telephone number, email address, and/or any other identifier that permits the physical or online contacting of you) in connection with activities, services or resources we make available on this site. In all of these cases, we will collect personally identifiable information from you only if you voluntarily submit such information to us. In various places on our web site, we may gather email addresses and other basic contact information to allow site visitors to donate online, subscribe to newsletters, or register for events, or interact with ISCTD in other ways. The information we collect is protected by encryption software. ISCTD does not share any of the personally identifiable information we collect with other outside parties, unless we have received your specific permission to do so. If you do provide us with personally identifiable information for any of these activities, we may use it to conduct the activity. We may also use cookie technology and web beacons (discussed in detail below) to improve your experience of these activities, including remembering your preferences, customizing the content or authenticating your access to your personal information. In addition, in the event your personally identifiable information is requested as part of our outreach efforts, such personally identifiable information may be added to your profile. We have the following exceptions to these policies: We will release specific information about you or your account to the extent required by applicable laws, rules and regulations including to comply with any valid legal inquiry or process such as a search warrant, subpoena, statute or court order. We will also release specific information in special cases, such as if there is an attempted breach of the security of this site, or a physical or property threat to you or others. We may also transfer user information, including personally identifiable information, in connection with a transfer of the The Oprah Winfrey Leadership Academy Foundation’s assets to another entity or other fundamental corporate change. • “Cookie” technology: A “cookie” is an element of data that a website can send to your browser, which may then store it on your system. • “IP address tracking”: An IP address is a number that is assigned to your computer when you are on the Internet. When you request pages from this site, our servers log your IP address. based document that a website can use to determine information about a user. Our web servers may collect non-personally identifiable information that allows us to keep track of our web statistics. We may also use such information entered by users to create reports regarding the general state of our interest area and to plan services and tools that will benefit our ‘consumers’. In such reports, the information is not associated with any specific user or organization. Non-personally identifiable information might include the browser you use, the type of computer, technical information about your means of connection to this site, such as the operating systems and the Internet service providers utilized, and other similar information. Our systems may also automatically gather information about the areas you visit and search terms you utilize on this site and about the links you may select from within this site to other areas of the web or elsewhere online. We use such information to administer the site and to understand how our users as a group use the services and resources provided on this site. This way we know which areas of this site are favorites of our users, which areas need improvement, and what technologies are being used so that we may continually improve this site. We may share this statistical information with our partners, suppliers and other third parties, but we will not share any individual names, personal navigational or other personal information. Further, we may contract with a third party web analytics provider to help manage and optimize this site. We use this service to help us research how visitors use this site. To do this, we use web beacons and cookie technology on this site. The type of information we collect includes the number of hits a web page receives, type of browser used, and number of times a visitor makes a donation. By supplementing our records, this information helps us learn things like what pages are most attractive to our visitors. Although this third-party provider logs the information coming from this site on our behalf, we control how that data may and may not be used. The site is not directed to children under the age of 13. We will not knowingly collect personally identifiable information from children under 13. If you are under 13 you should not use or enter information on this site. We do not control the contents or links that appear on these sites. In addition, these sites or services, including their contents and links, may be constantly changing. These sites and services may have their own privacy policies and customer service policies, or no policy (policies) at all. We encourage you to review the privacy policies of any third party sites or services before providing any of them with your personal information. If you would like to review any personal information we have retained about you in our database, please send us an email request for this information at info@isctd.org. To help us address your request, please specify which information you wish to review. Once you have reviewed this information, at your request we will correct personal information about you that you state is erroneous. To request such a correction, please send an email to info@isctd.org. You should be aware, however, that it is not always possible to completely remove or modify information in our databases and servers although we will always make reasonable efforts to do so upon your request. If you choose to receive information from us, you can change your mind later. If at any time you would like to stop receiving such information or opt-out of a feature, you may unsubscribe to emails by clicking the unsubscribe link found at the bottom of each email, or you may contact us. You should be aware, however, that it is not always possible to completely remove or modify information in our databases and servers although we will always make reasonable efforts to do so upon your request. Web Site Terms and Conditions of Use 1. Terms By accessing this web site( and other applicable media), you are agreeing to be bound by these Terms and Conditions of Use, all applicable laws and regulations, and agree that you are responsible for compliance with any applicable local laws. If you do not agree with any of these terms, you are prohibited from using or accessing this site. The materials contained in this web site (and other applicable media) are protected by applicable copyright and trade mark law. b. This license shall automatically terminate if you violate any of these restrictions and may be terminated by ISCTD at any time. Upon terminating your viewing of these materials or upon the termination of this license, you must destroy any downloaded materials in your possession whether in electronic or printed format. 3. Disclaimer a. The materials on ISCTD's web site are provided "as is". ISCTD makes no warranties, expressed or implied, and hereby disclaims and negates all other warranties, including without limitation, implied warranties or conditions of merchantability, fitness for a particular purpose, or non-infringement of intellectual property or other violation of rights. Further, ISCTD does not warrant or make any representations concerning the accuracy, likely results, or reliability of the use of the materials on its Internet web site or otherwise relating to such materials or on any sites linked to this site. 4. Limitations In no event shall ISCTD or its suppliers be liable for any damages (including, without limitation, damages for loss of data or profit, or due to business interruption,) arising out of the use or inability to use the materials on ISCTD's Internet site, even if ISCTD or an ISCTD authorized representative has been notified orally or in writing of the possibility of such damage. Because some jurisdictions do not allow limitations on implied warranties, or limitations of liability for consequential or incidental damages, these limitations may not apply to you. The materials appearing on ISCTD's web site could include technical, typographical, or photographic errors. ISCTD does not warrant that any of the materials on its web site are accurate, complete, or current. ISCTD may make changes to the materials contained on its web site at any time without notice. ISCTD does not, however, make any commitment to update the materials. 6. Links ISCTD has not reviewed all of the sites linked to its Internet web site and is not responsible for the contents of any such linked site. The inclusion of any link does not imply endorsement by ISCTD of the site. Use of any such linked web site is at the user's own risk. 8. Governing Law Any claim relating to ISCTD's web site shall be governed by the laws of the State of Massachusetts without regard to its conflict of law provisions. In the event that any copyrighted material is posted or made accessible that infringes on the copyrights of a third party, ISCTD will investigate and act in accordance with ISCTD’s copyright infringement policy pursuant to the Digital Millennium Copyright Act. ISCTD maintains an email address for notifications of claimed infringement concerning materials. All correspondence should be addressed to ISCTD’s Designated Agent at info@isctd.org. ISCTD writers may contact ISCTD with complaints regarding allegedly infringing posted material and ISCTD will investigate those complaints. If the posted material is believed in good faith by ISCTD to violate any applicable law, ISCTD will remove or disable access to any such material and ISCTD will notify the writer that the material has been blocked or removed in accordance with its copyright infringement policy.